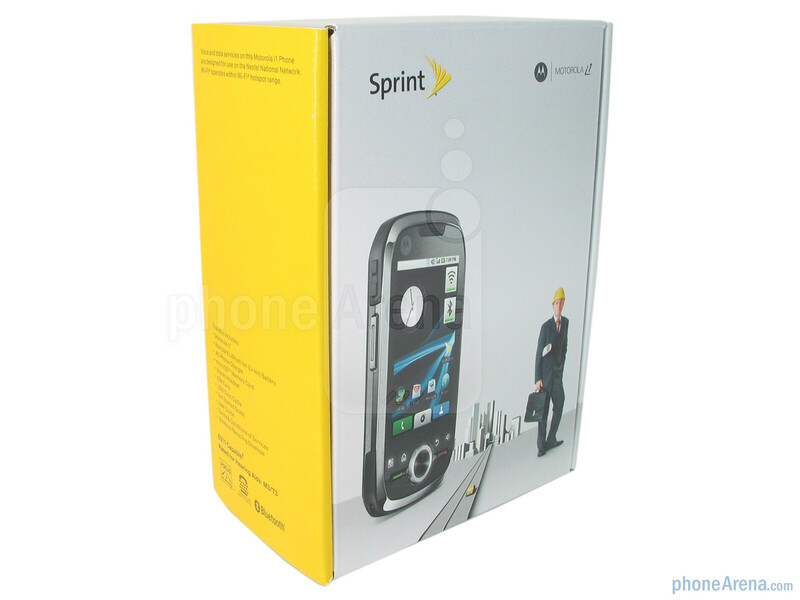 Deeply ingrained into the minds of just about every consumer is this lingering notion that blue collar workers would naturally gravitate toward rugged styled handsets – most notably ones from Sprint-Nextel's lineup. 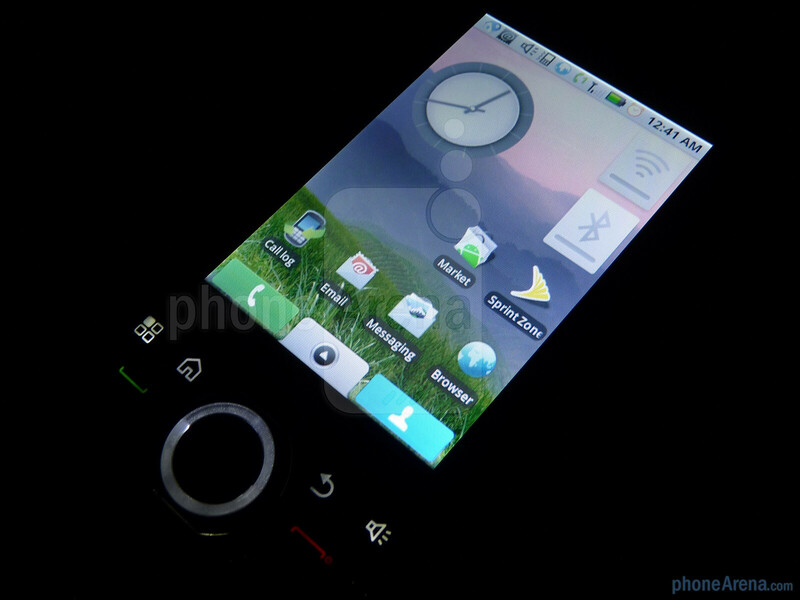 Even though the niche is obviously there, some individuals prefer a higher class handset that would not only provide connectivity via PTT and solid construction, but bring forth some features akin to smartphones as well. Luckily the Motorola i1 might be the solution as it's being billed as the first Android powered iDEN smartphone that's built to certain military specifications, but will it live to the minimum standard of smartphone users? Sleekness isn't placed highly on the design check list for the Motorola i1, however, it doesn't mean that it's not a pretty decent looking handset versus the other available iDEN offerings. 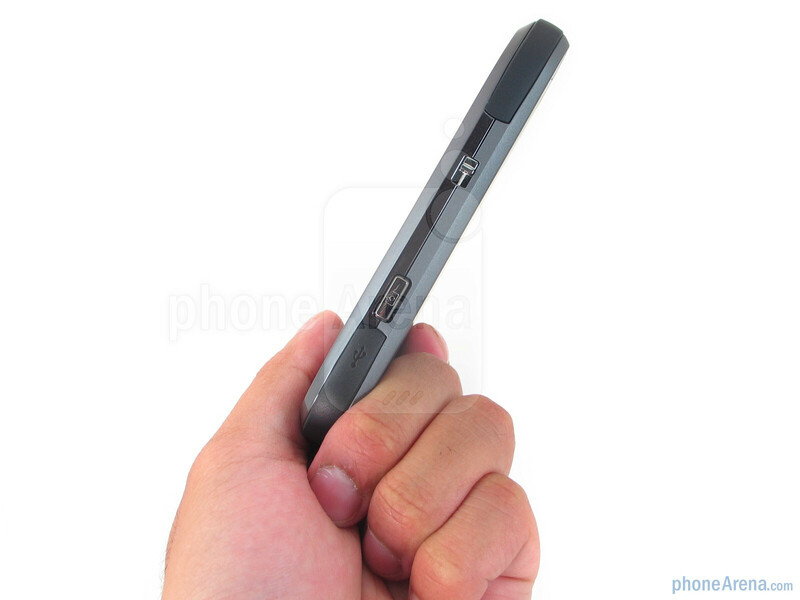 The typical slate-like handset looks pretty appealing with its two toned gray and black finish which are supplemented with a soft touch coating to present itself as a fine rugged feeling device. Not particularly bulky (0.50” thick), it is rather normal size and comfortable to hold without too much heft (4.62 oz) being felt as you place it in your hand. Versus other Android smartphones, the i1 is rather over the top with durability as every nook and cranny are covered tightly to protect its innards from the elements and brute force of physical damage that one can accidentally bestow upon it. Basically you can dish out some mean punishment as it meets MilitarySpec 810F – that's for rain, dust, shock, vibration, extreme temperatures, low pressure, humidity, and even solar radiation! 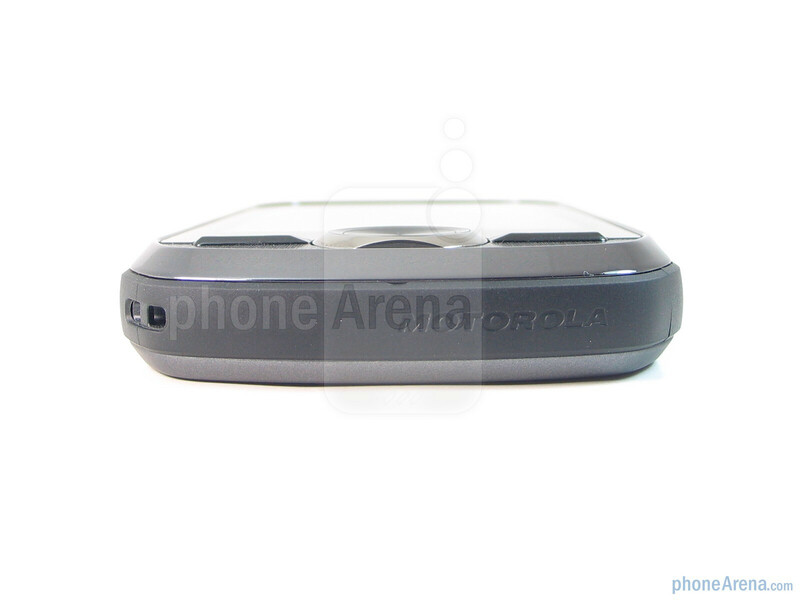 You can compare the Motorola i1 with many other phones using our Size Visualization Tool. The 3.1” capacitive TFT display dominates the front surface with its HVGA resolution (320 x 480) and support for 262k colors. When setting it to the maximum brightness setting, colors have a distinguishable look which will also enable it to function decently in outdoor conditions – but it's worth noting that reading text can be a challenge as it is rather small in size. 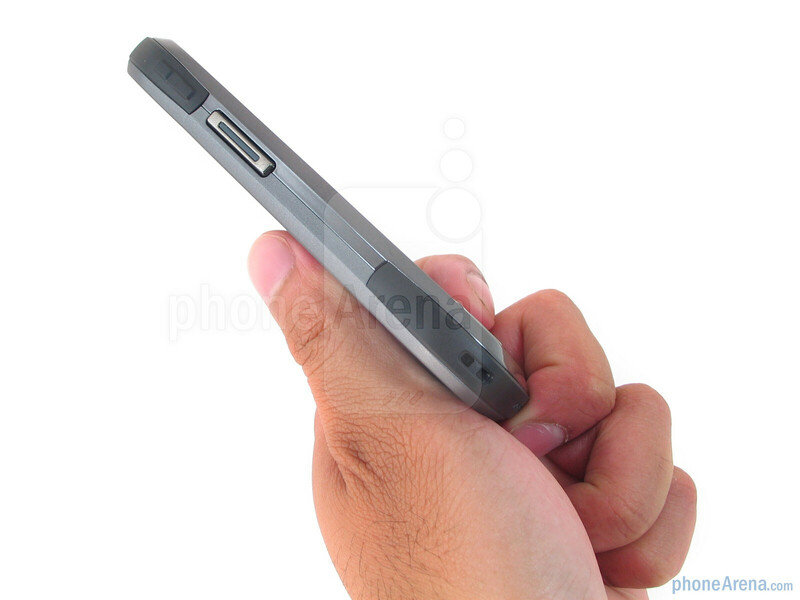 Finally the touchscreen is fairly responsive to the touch, however, it has a plasticity feel as opposed to something more solid like glass – but then again, we'd imagine that plastic would fare better when it comes down to drops. 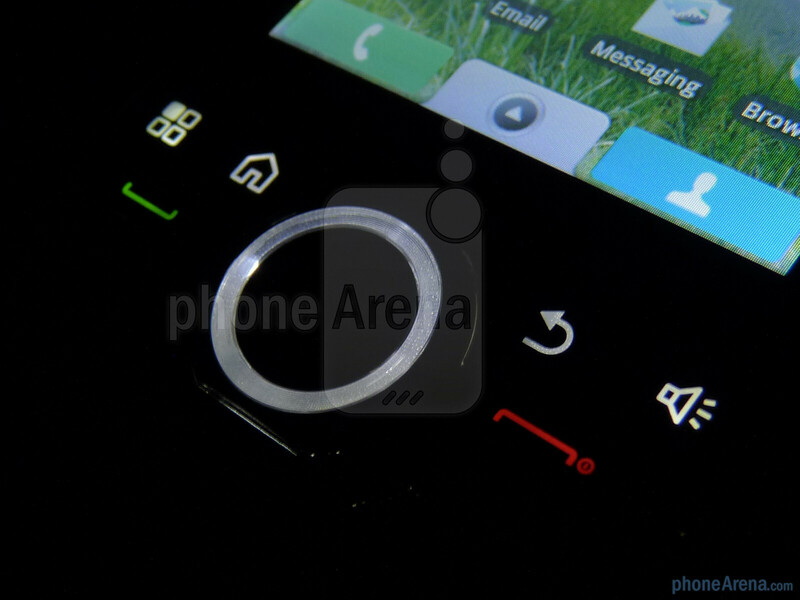 Easily the biggest attraction to the phone is its central circular sized navigation pad that has a chrome accent outlining it and illumination for notifications. Although it may require a solid push, it does well in aiding you to navigate about the platform – plus, pushing down the center button for a selection is a bit more tactile. Both the send and end keys are properly raised from the surrounding surface and well sized to make them easily pressed. You'll also find the usual set of touch sensitive buttons on the front which are placed far enough from the bottom portion of the touchscreen to minimize accidental presses. 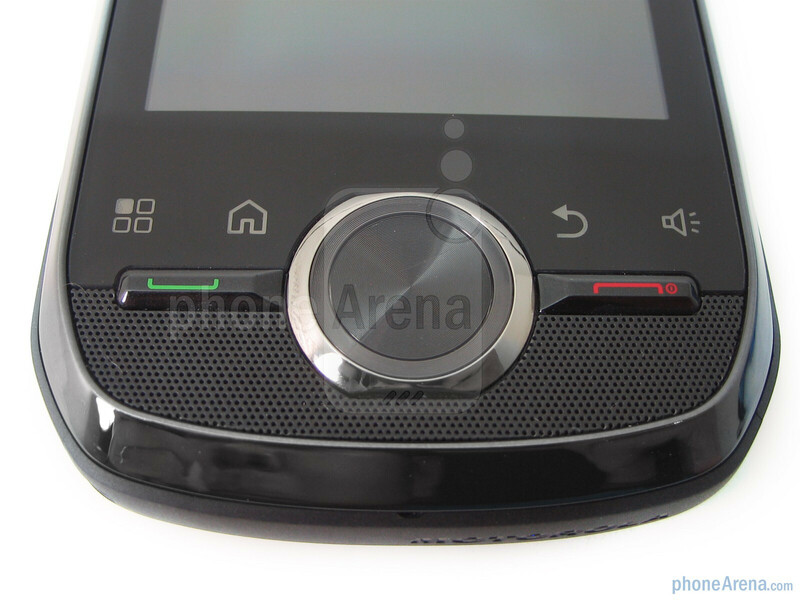 Additionally, you'll find a grill for the speaker phone directly beneath the d-pad. As for the other dedicated buttons around the sides, they are all stiff to the touch, but still nicely sized to be discernible to the finger. Although it sports a traditional microUSB port for charging or data connection, it reverts to employing a 2.5mm headset jack – regardless, the packaging contains a pair of stereo headphones. 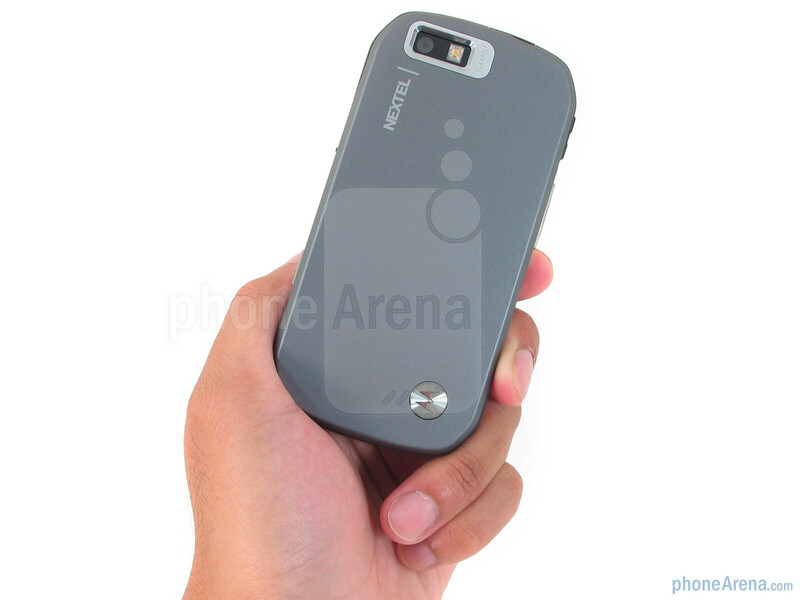 To the rear, you're presented with the 5-megapixel auto-focus camera with LED flash while removing the rear cover will require you to push the latch on the right side of the phone before yanking it off. 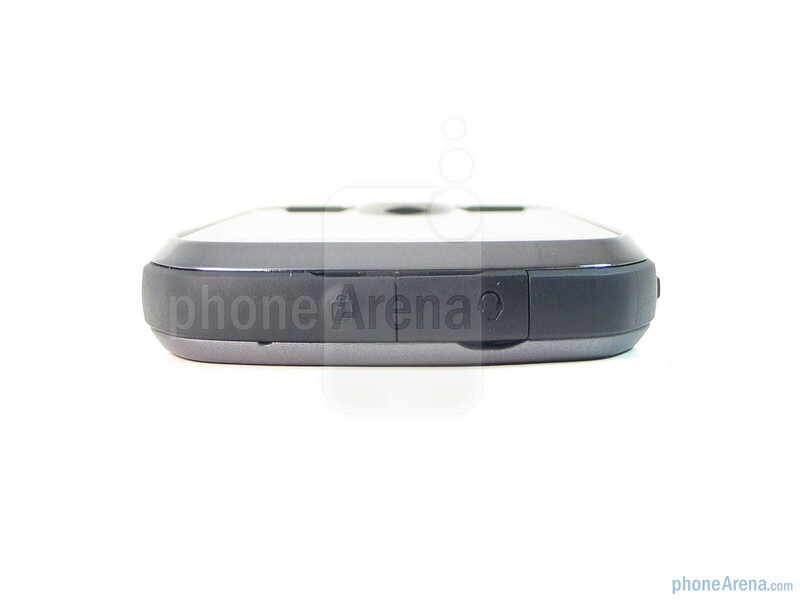 Once that is done, you'll be treated to the microSD card slot, battery, and SIM card slot. 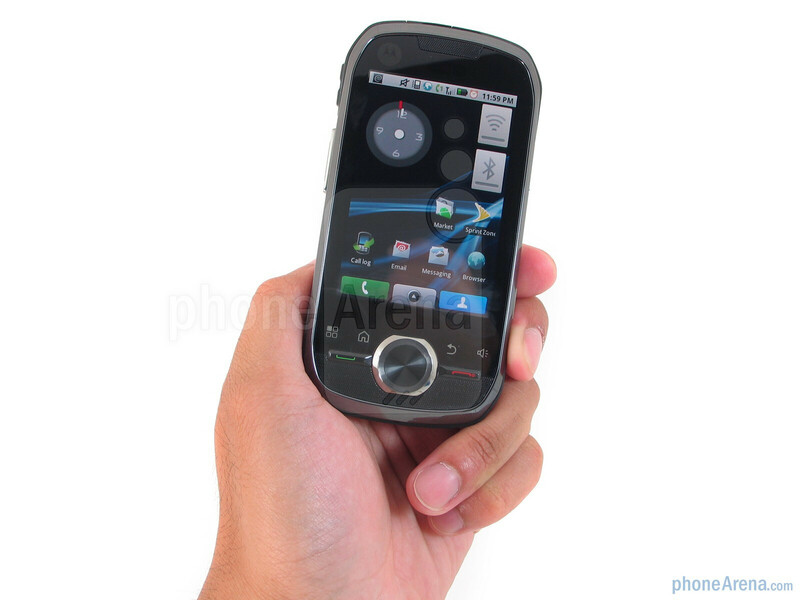 I like the idea of a rugged smart phone except this phone seems so outdated. I want a rugged DROID. That'd be awesome. But this phone would still be cool but not with the pricey smartphone plan. I am a dispatcher for a busy taxi service. 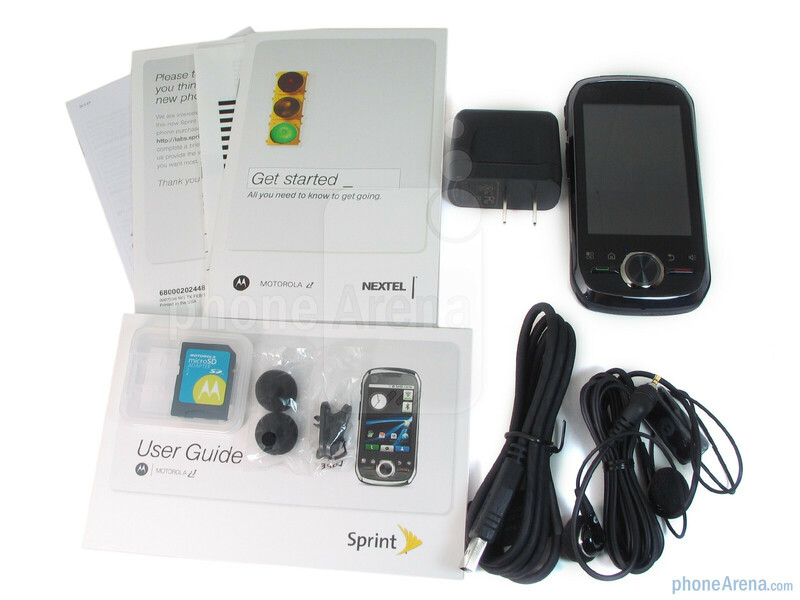 I use the Motorola i1, and our drivers use a "standard" Nextel PTT. The i1 is packed with features that make my job easier. With traditional iDEN phones, you can't use PTT and data service at the same time. The i1 is wifi enabled. While connected to wifi, the all the PTT features are available. This allows me to use Google maps, and other internet utilities, without missing PTT call. Running on the Android platform there are tons of cool apps., but use caution. Some apps. make a constant internet connection through the "data" (not wifi) connection on the i1. This WILL block incoming/outgoing PTT calls. There is also some modulation issues. On older Nextell equipment, the i1 sounds over modulated. PTT calls that are i1 to i1, are great. But if you PTT a buddy with an old phone, you will blow his ear drums out. The only problem that I have with the phone is the charger. This platform is picky, I have used an aftermarket charger with poor results. The phone hangs and freezes. I've had this phone a couple of months and it's not that bad. Sure, if you want a full PC in the palm of your hand then there are better to chose from. I wanted a rugged phone and this is the only one that fits the bill. I've dropped it from 4 feet with no damage whatsoever. The screen is responsive and since I don't rely on data the speed isn't a real concern. I have access to enough wi-fi points so that's not a real concern. Opera is the choice to use however. I've loaded this up with a number of apps with good results. Be ready to trim some apps or change some settings to bet good battery results. I think Motorola should offer a major rebate or deal once the get another rugged droid out there that would use a more up to date version of Android. One major flaw is the on screen keyboard. It is way too small to easily use. I've installed Big Buttons and that makes texting a whole lot easier. Screen picture quality is more than acceptable. I wouldn't even think of video on a screen this small so I'm not going to comment on it. Overall it's a good phone, certainly not Motorolas best effort but you have to remember they wanted a stable OS platform for the IDEN network. Rugged, nice size, good sound quality and a good selection of apps makes this a safe choice for the outdoor folks. If you need it to be prettier and certainly faster with all of the best there is to offer then this phone is not for you. Al fin motorola tiene un telefono a la altura de su servicio. Un cagada! mmmmh i cant agree with your comments by im really unhappy with this phone its slow dont have tha same capability of other androids and the sarvice with nextel is horrible!!! i have nextel becoause of the international services they got but other than that i wouldnt have this phone.